Shasta Lake, Ca / April 11-12 2015: This past weekend marked the half way point for what has been a remarkably successful season! With a different overall winner in every round so far it is safe to say that the competition is thick in the Championship Chase this year. 25+ pros have lined up at every single round to bang bars, along with growing numbers in every support class from the A’s all the way down to the smallest Youth riders, from 30+ to 60+ and in all the Women’s classes.Starting off the entire weekend were the youngest racers in off-road, and everyone’s favorites, the peewees. SRT Off-Road’s Caleb Mills would score his first win of the season extending his points lead over reigning champion Andrew Schulz to 41 points! Ryder Christensen would lead the first lap but after Mills passed would settle for 2nd just over a minute and a half behind. Third would go to Anthony J Aveggio who won the last round hosted in D36. The next national points paying race on the line would be the Jr. Mini, Micro Mini and Girls racers. Logan McChesney would take another win on the day making that 3 in a row for him on his way to his first National championship! He would take the win by 3 minutes and 49 seconds over Parker Watts of Willits, Ca who was followed by Ben Edwards who would round out the top 3 Jr Mini. 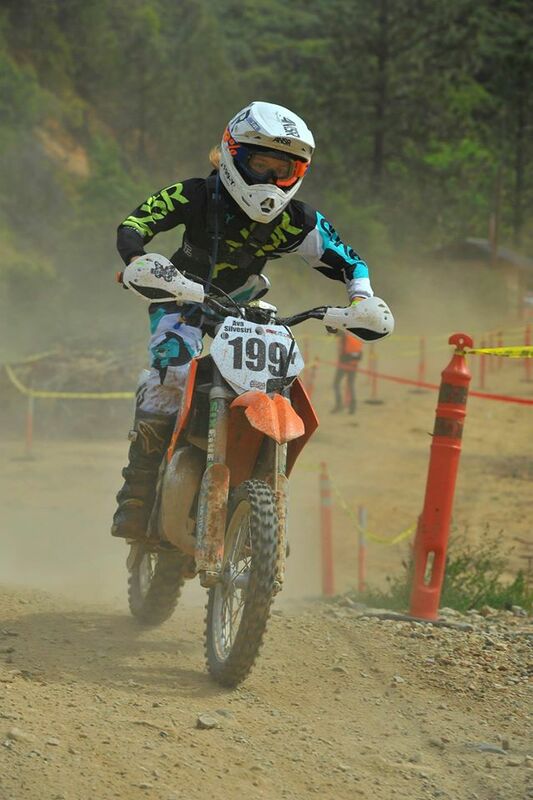 Grants Pass, Or’s Zeke Degeyter would continue his win streak in the Micro Mini Class making 4 in a row this weekend and finishing 13th overall from the 3rd row against the 85cc machines! Shane Haywood and Wyatt Mattoch would follow in 2nd and3rd in the Micro mini class. The big story is Redwood City, Ca’s Ava Silvestri taking a huge victory on the weekend. Not only did she take the win in the Girls class but she was also the only Girl to stay on the lead lap AND finish 27th out of 71 against the boys! She has taken the win at every round she has been at and is looking to over take series points leader Bailey Rhodes who would lose a little ground with a 6th place finish. Aslyn Franklin would finish a lap down but would stay 4:34 minutes ahead of Abigail Williams in 3rd.The Final race of Saturday would be the fastest young racers in off-road; the Super Mini’s and Mini’s! 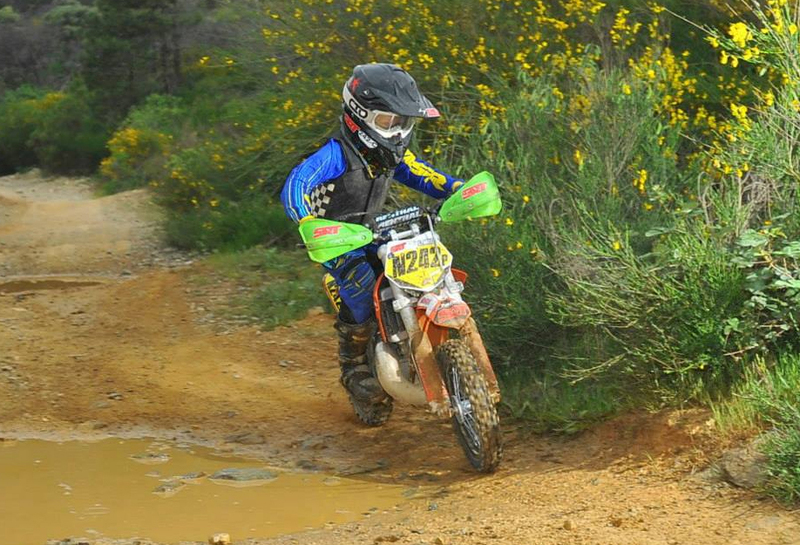 12-15 year old racers on 85cc-150cc machines banging bar to bar just as fast as the top pros! Off the start 2014 series runner up Hayden Hintz would get the holeshot but Jon Modena and Lochlan Campbell would make some moves and get into the top 2 positions almost immediately. Modena would put on a clinic coming through on the first lap with nearly a 2 minute lead stretching it out to over 4 minutes by the checkered flag! 707 Racing Suspension’s Campbell, who had to swap out a broken spring in the morning having to settle for a less then perfect set up, would hold onto 2nd keeping him within striking distance of Modena in the points chase. 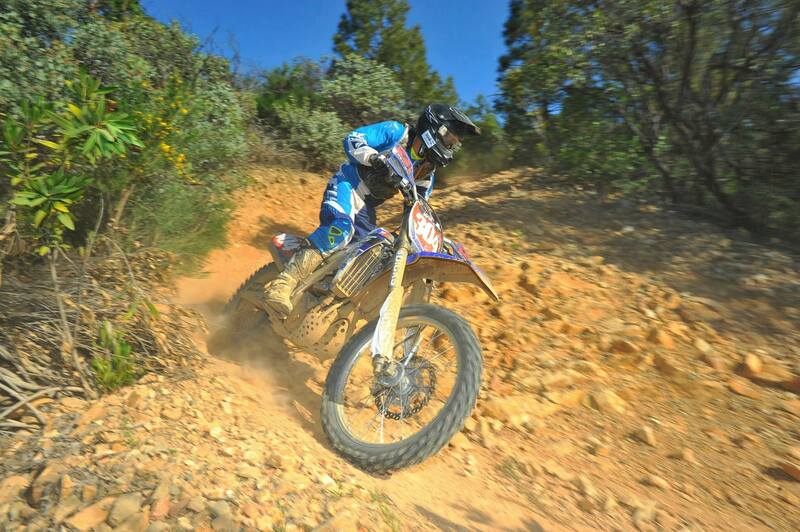 Justin Oliveira would follow the duo by a mere 54 seconds in 3rd and would go on to Overall the Day 2 Sportsmen race. T.O. Powersports Yamaha’s Mason Matthies would take another victory in the Mini class almost four and a half minutes ahead of Mateo Oliveira. With almost no one able to keep up and battle with him this season Matthies has been working his way up the Overall ranks against the Super Mini’s and took a 12th overall this weekend. 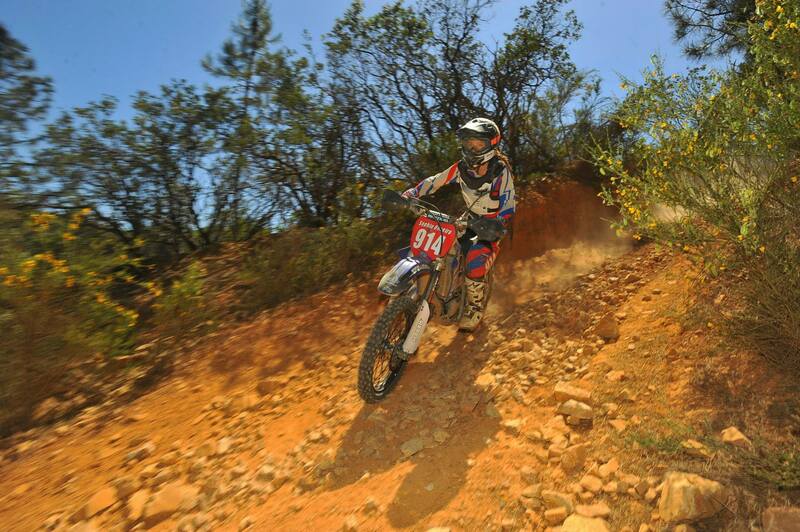 Dylan Compher would follow Matthies and Oliveira in 3rd in the Mini Class. Stepping out of the norm the Redding Dirt Riders elected to host the Pro/A/B race FIRST which seemed to make for a much more laid back schedule on the day actually. At 8:30am the first line of Pro’s was off – combined Pro,AA and FMF Pro 250 – and into the first corner it was SRT Off-Road’s Cory Graffunder taking the early lead. Right on his tail however was everyone else and they were all vying for that #1 spot! First to strike would be FMF Pro 250 points leader Joey Fiasconaro. He would get around Purvines Racing’s Nick Burson and Graffunder half way through the 19 mile loop and be able to put a little 30 second cushion between himself and the rest of the field on lap 1. While the field would be shuffling all around behind Fiasconaro Valli Motorsports Yamaha’s Vaughn Wilk was hungry for his first National win! “I threw away the win at this round last season so I wanted it bad.” exclaimed Wilk. “I won the local race last weekend so I had some pretty good momentum coming into this round.” Wilk would make his move on a tiring Fiasconaro on the 3rd lap and would push all the way to the finish sealing the deal a minute and a half ahead of Fiasconaro who would not only take 2nd overall but would also take his 3rd FMF Pro 250 win and is the first Pro 250 this season to be inside the top 3!Wilk makes for the 4th different winner in 4 rounds and bumps himself up to 5th in the points chase after missing round 1. While Gruffunder would come through in 3rd overall he was generally happy with his ride. “I’d much rather win but for the championship I did what I had to do and beat Travis [Coy] and gained some points on him and that’s what I really need to do.” said Graffunder who has yet to be off the podium this season and has a 13 point lead on RPM/KTM’s Travis Coy who finished 4th overall. Burson would round out the top 5 and sits 3rd in points and is looking for another win after his round 3 victory. while Fiasconaro was WAY out from of the FMF Pro 250 class the race for the next 2 spots was very tight. Rocklin Ca’s Chaz Halbert, in only his 4th ride back on the bike, would surprise everyon including himself with the ride he had this weekend. He would take 2nd FMF Pro 250 and 10th overall while SRT Off-road’s Steven Kirk III would take his second 3rd in class in a row. “I’m happy to be up on the podium again and I’m going to be working harder and harder to get on that top step.” saidd Kirk who is running a solid 3rd in the points chase behind Nick Stover who would drop to 5th after changing out a flat front tire.While the Pro’s are the “show” of the event it is really the support classes that make for the best racing! These guys and gals work just as hard as anyone to be out there racing and absolutely have a blast! Taking the 1st Overall A position was Brett Sage! Going into the 1st corner in second behind Calum Campbell he would make his way into 1st battling it out with Pro Racer Joey Notaro and crossing the finish line in 13th overall! 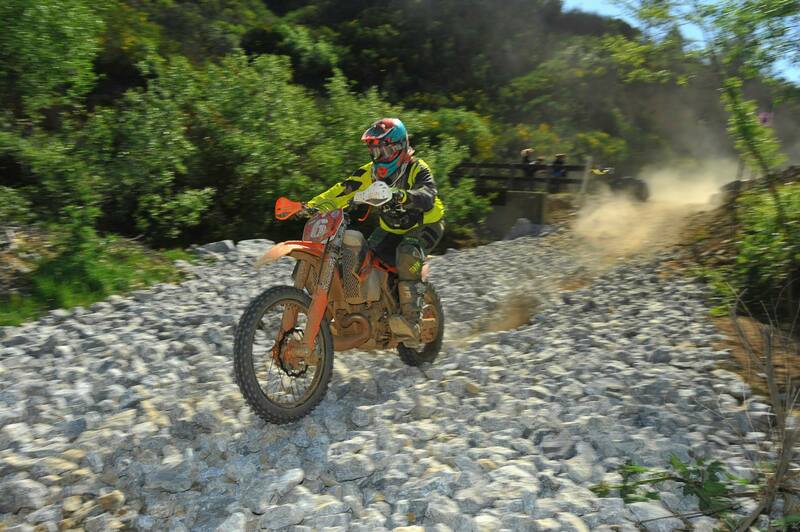 Folloing Sage by a mere 45 seconds was Dante Oliveira who also raced Super Mini but today took the A 200 victory aboard his KTM 150. Cole Marshall would round out the top A riders and take the 40+ A victory on top of it! Grayson Pringle would overall the B riders and would take the B 250 win as well. The 2nd race of the day would feature a front row packed with the top Women in West Hare Scramble. Lesha Kubacki would take the holeshot into the first corner but once again Garrahan Off-Road Training’s Sophia Oliveira would take control of the event and lead the entire race physically. Even on adjusted time she would have a 55 second lead on the first lap but by the second lap the C 200 riders had caught her, while never passing pysically, Justin Oliveira (of no relation) would take the overall C win by a mere 30 seconds over Tyler Doyle with only 6 seconds back to Sophia.Coming in 2nd overall woman would be Sharon Mowell once again followed by Brianna Vinsonhaler who has completely dominated the Women B points chase going 4 for 4 on the season so far. 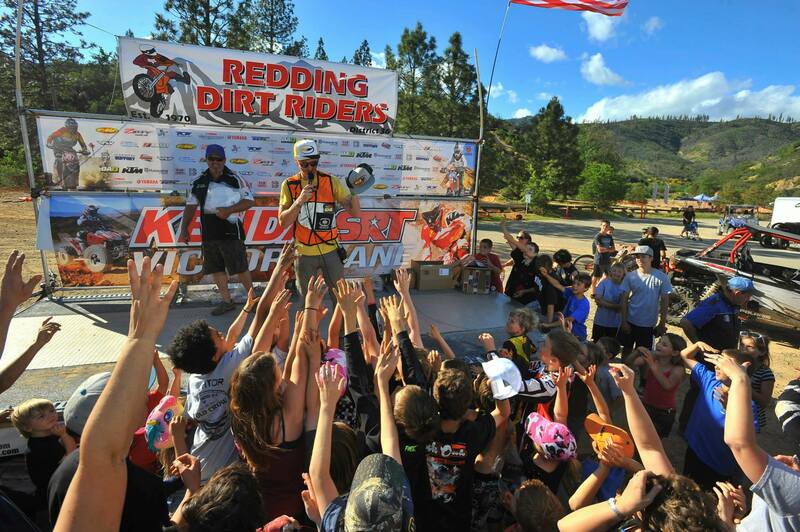 As always the NHHA would like to thank the host club, Redding Dirt Riders, for doing a phenominal job on the event this weekend! 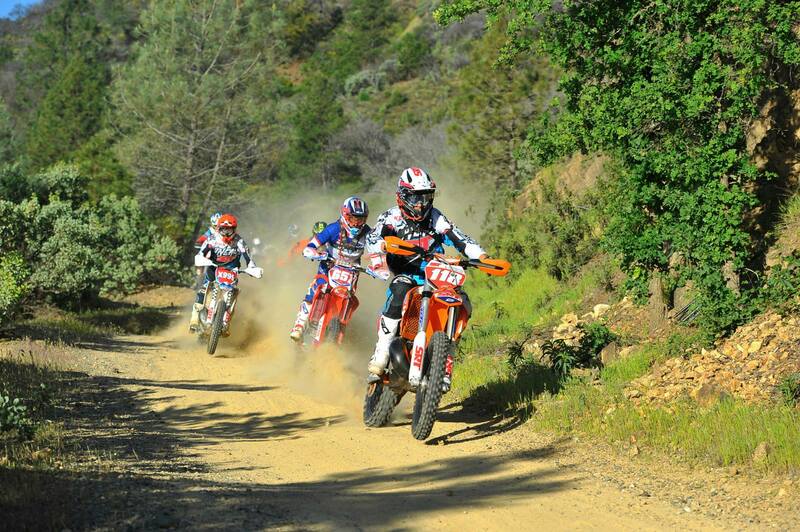 One of the most beautiful locations, well ran, well laid out and all of the riders had a TON of fun! Definitely a “must attend” round for all riders in the future!Don’t forget that at ALL the rounds there is a podium presentation with lots of “swag” throw outs for the kids and everyone else along with a chance for ALL riders of ALL skill levels to get up there and get interviewed for their accomplishment of simply participating! See you all at the next round! Maddison Freitas was the winner of the Nectar Sunglasses Challenge. 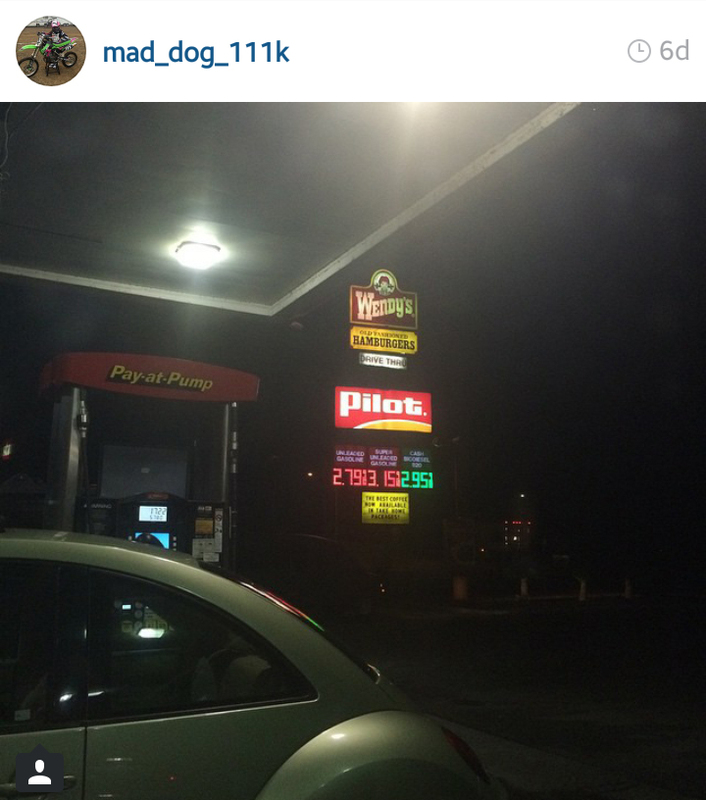 He posted the cheapest gas on the way to the event and is getting a FREE pair of Nectar Sunnies for having fun with us!Dont forget to follow @amawhs and @nhharacing on instagram for your chance, every round until we run out, to win a pair!